"The Great Intelligence will focus upon this planet. Soon it will begin to grow and at last take on physical form. At last its wanderings in space will be at an end!" Khrisong says the sphere emitted a sound and the Doctor realises they can track the signal. Khrisong gives the Doctor & Jamie leave to fetch the equipment from the Tardis. They leave without telling Victoria who searches for them. 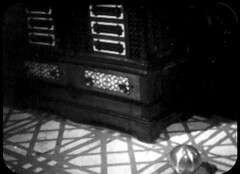 She makes her way to the inner sanctum as the missing sphere edges towards the captured Yeti. Songsten hypnotising Ralpachan and so passes through the gate unobserved. Padmasambhava sends uses his hypnotic tone to send Victoria away. She returns to the room with the Yeti in just as the sphere reaches it activates the robotic beast. Episode 2 looked good, but 3 sounds even better. I'd love to see this one! RINCHEN: These creatures are indeed fearsome. JAMIE: Aye, you were lucky you weren't killed. KHRISONG: But why did they just turn and leave? They had us at their mercy. Why? DOCTOR: They didn't come to fight. They came for the sphere. DOCTOR: Pretty sure. They didn't want me to examine it. KHRISONG: You talk of these creatures as if they were human, with a human's brain. DOCTOR: That sphere is like a brain. They had to get it back. JAMIE: Yes, and that Yeti we caught in the net. Well, that could have been after the sphere we found in the cave. DOCTOR: I'd still like to know what happened to that one. This sound that you heard? KHRISONG: It came from the sphere, I swear it. JAMIE: Some sort of signal, do you think? DOCTOR: Yes, it could be. Anyway, its a help. SAPAN: How can this help? DOCTOR: Well, with the right sort of equipment, these signals can be tracked. JAMIE: You mean you can find out where the Yeti are getting there instructions from? RINCHEN: Where can we find such equipment? DOCTOR: We've got to back to the Tardis. KHRISONG: This equipment. You have it? DOCTOR: Yes. But it's outside there on the mountain. KHRISONG: Then, you must go for it. JAMIE: You mean you'll let us go? KHRISONG: I have no choice. I have failed. My warriors are powerless. I must trust you. DOCTOR: Come on. Let's get me coat. 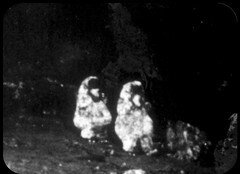 We however are a few steps ahead of the Doctor and have a much clearer idea what's going on: The Yeti are controlled by the as yet unseen Padmasambhava who is using the Abbot as his main servant. Padmasambhava serves The Great Intelligence which wants to come to Earth and gain corporal form. 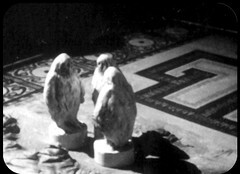 But the Doctor, Travers and the Monks know none of this and suspicion passes from the Doctor to Travers to elsewhere as the Doctor tries to gain the monk's trust. Sapan's description of the robot Yeti as "a devil with his armour on the inside" is a fantastic one, and the concept of the game board map with miniature figurines controlling the Yeti is a striking image and one that will be recycled later in the show's history. 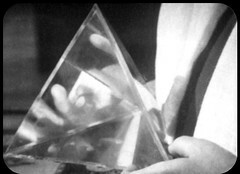 And right through the episode we have the missing control sphere, carelessly abandoned in episode 2, inching it's way towards the deactivated Yeti carcass which the Monks have surrounded by the Monk's ghost trap. 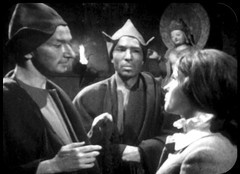 Norman Jones, who plays warrior monk Khrisong, is perhaps the most familiar face to Who fans in the credited cast returning as Major Baker in Doctor Who and the Silurians and Hieronymous in The Masque of Mandragora. Both here and in Masque his eyes are very noticeable: they're wide and staring with him hardly ever blinking. Very unsettling. 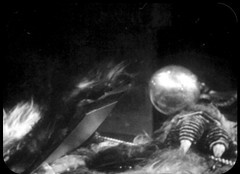 Prior to Doctor Who he'd appeared in Out of This World, the ITV predecessor to the BBC's Out of the Unknown as Monroe in Botany Bay, an original story by the future Doctor Who writer and Dalek creator Terry Nation. You can also find him on the big screen James Bond film You Only Live Twice as an Astronaut on the 1st American Spacecraft. He played Det. Insp. Perraut in the The Sweeney episode Bad Apple, Andy Drake in The Professionals: Need to Know and has a recurring role in the first two Inspector Morse as Chief Inspector, then Chief Superintendent, Bell, an officer who beats Morse to a promotion appearing in The Dead of Jericho, which also features Patrick Troughton, and Service of All the Dead, which has several Doctor Who guest stars in it! 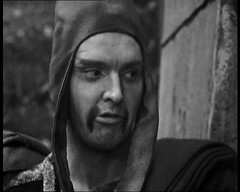 The Monk Thonmi is played by David Spenser. 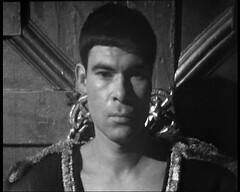 Spenser had appeared with Doctor who Patrick Troughton before when he played Mark opposite Troughton's Paul in Paul of Tarsus. You can see him in Carry On... Up the Khyber as Bungdit Din's servant. More on Carry Ons next story when Bungdit Din himself shows up! From the 1960s till his death in Sri Lanka in 2013 he was the partner of Doctor Who writer, actor and occasional script editor Victor Pemberton. 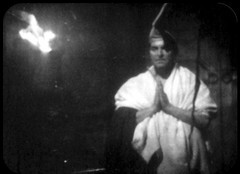 Raymond Llewellyn plays the monk Sapan. He has another association with monks and monestarys playing Madog in the Cadfael TV Series episodes One Corpse Too Many, The Sanctuary Sparrow, The Leper of St. Giles & Monk's Hood. He's frequently seen with Rinchen played by David Grey. I'm not 100% sure but I believe Sapan is on the left and Rinchen in the middle of the bellow picture when they're shown talking to Victoria. 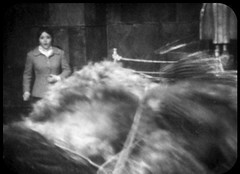 Abbot Songsten is played by Charles Morgan who returns as the Gold Usher in director Gerald Blake's other Doctor Who story The Invasion of Time. He was in the British science fiction disaster movie The Day the Earth Caught Fire, released two years to the day before Doctor who started, where he plays an uncredited Foreign Editor. 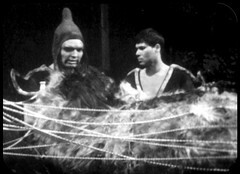 He too was in Out of This World appearing as the Chief in the first episode Dumb Martian, which launched the series as part of Armchair Theatre. 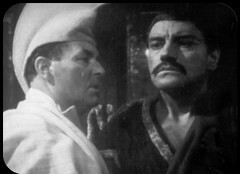 Amongst the cast we have to deal with a famous name that's *NOT* in the story: moustachioed monk Ralpachan is played by David Baron. "David Baron" was the stage name of playwright Harold Pinter. These are not one and the same: Pinter abandoned the use of the Baron name to perform under in 1959.